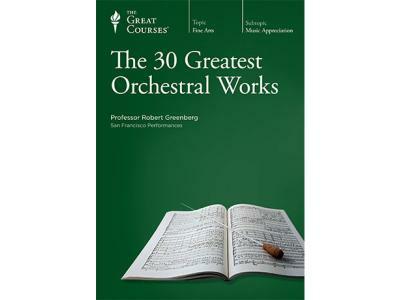 In The 30 Greatest Orchestral Works, Great Courses favorite Professor Robert Greenberg of San Francisco Performances takes you on a sumptuous grand tour of the symphonic pieces he counts, as a highly respected composer and music historian, as being among the very greatest ever written—inviting you to an in-depth contemplation of what makes these works so memorable, and why they live at the center of our musical culture. This double album offers a testimony to Stravinsky’s overwhelming musical heritage, covering all the phases of his creative life. Igor Stravinsky (1882-1971) is twentieth-century music! More than any other composer, he continued to develop his compositional style throughout his seven-decade-spanning career, innovating and adopting all the most important musical trends of his century. Historically, the musical journey starts with one of the first recordings of the recently rediscovered Funeral Song (1909), composed as a tribute to his teacher Rimsky-Korsakov. The next phase in his development is represented with the raw but tremendously refined Rite of Spring (1913), Stravinsky’s most famous work that created a scandal at its Paris world premiere, and immediately turned him into a star. His Neoclassical style is showcased by Jeu de cartes (1937) and the Concerto in D (1947), whereas Agon (1957) presents Stravinsky’s original take on Schoenberg’s serialism. 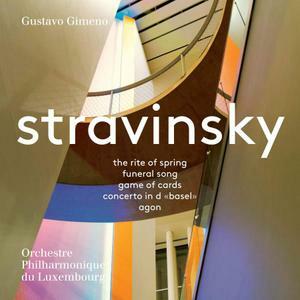 This multifarious repertoire is performed by the Orchestre Philharmonique du Luxembourg and their Music Director Gustavo Gimeno, who continue their acclaimed PENTATONE series of composer portraits that already featured monographs of Shostakovich, Bruckner, Ravel and Mahler. Famous conductor and musician, Claudio Abbado was internationally known for serving up a repertoire of music from the poetry of Holderlin, the legend of Faust or works that depict German drama. He conducted several orchestras worldwide and received numerous awards for his masterful genius. His works include Mendelsshon's Midsummer Night's Dream and Robert Schumann's Piano Concerto. 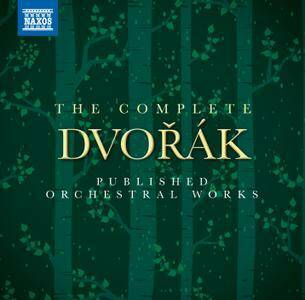 Dvořák was a composer steeped in the national and folk music of his Bohemian homeland, and his orchestral music combines a broad and soulful melodic sweep with the wit of sparkling orchestration. Naxos is proud to present the most comprehensive overview yet of his orchestral output, the complete symphonies complemented by three charismatic concertos and a wealth of folk- and narrative-inspired orchestral works. A number of the shorter, less familiar works have been especially recorded for this anthology. Frank Bridge couldn't write a tacky note to save his life. It's instructive in this respect to compare this premiere recording of his early tone poem Mid of the Night to Hyperion's recent release of Granville Bantock's almost exactly contemporaneous Thalaba the Destroyer. 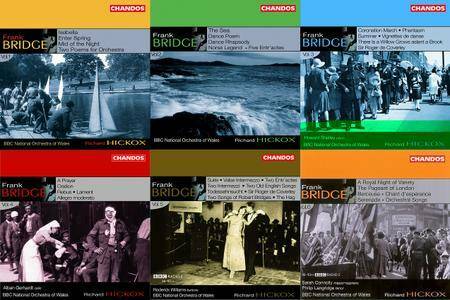 Where Bantock stitches shameless cribs from Tchaikovsky into a ramshackle and repetitive musical structure, Bridge's thematic material covers large, well-sustained spans and consistently holds the listener's interest. The lovely central melody introduced by English horn against softly murmuring strings has real lyrical beauty, and Bridge times his climaxes with unerring precision. Isabella, dating from 1907 (three years later than Mid of the Night), features some splendidly passionate string writing and an even more tightly integrated structure. 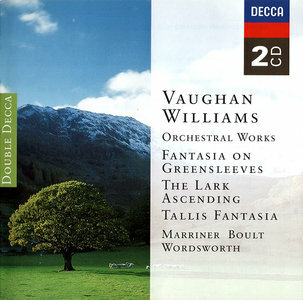 This two-CD collection offers a strong, masterfully performed selection of Vaughan Williams' shorter orchestral works. All the best-known pieces are here–the Tallis Fantasia, the Fantasia on Greensleeves, The Lark Ascending, Dives and Lazarus–as well as lesser-known but equally beautiful works such as the Norfolk Rhapsody No. 1, the Concerto Grosso and the Oboe Concerto. Disc One is devoted to performances by Sir Neville Marriner and the Academy of St. Martin in the Fields; on Disc Two, Barry Wordsworth and the New Queen's Hall Orchestra take over, except for one selection–the fiercely dramatic Partita for Double String Orchestra–performed by Sir Adrian Boult and the London Philharmonic. I did not think there could be a more beautiful performance of The Lark Ascending than the one by Boult and Hugh Bean, but the recording here by Marriner and Iona Brown is at very least its equal. For anyone who loves the music of Vaughan Williams, or for anyone who wants to get acquainted with this great and underrated composer, this double-CD set is a must. 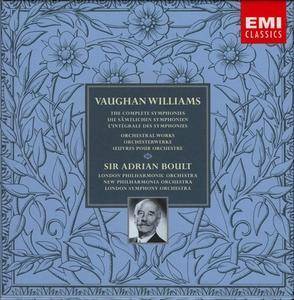 Adrian Boult's credentials in this repertoire are unassailable, and to have nearly all his stereo Vaughan Williams recordings for EMI so elegantly packaged and enticingly priced will be incentive enough for many a prospective purchaser. There's much to treasure here, not least those gently perceptive accounts of the first three symphonies, as well as the Fifth and the Ninth. 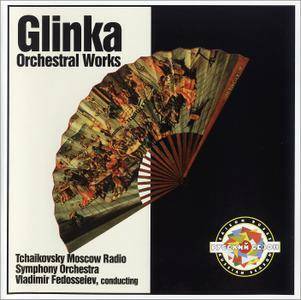 A well-educated child of privilege, Glinka became a fervent Russian nationalist. He is considered the father of Russian music, and exerted a significant influence on such great later composers as Tchaikovsky, Rimsky-Korsakov, and Stravinsky. One of Russia's ranking conductors of the new millennium, Vladimir Fedoseyev has worked extensively in Central Europe during the second phase of his career. As chief conductor of the Vienna Symphony Orchestra since 1997, he has brought a new intensity to the city's often underrated second orchestra. During his years as chief conductor of the Tchaikovsky Symphony Orchestra, Fedoseyev gained a reputation for achieving a balance between passion and musical integrity. For turning out reliable recordings of the standard repertoire, it's hard to beat Neeme Järvi and the Gothenburg Symphony Orchestra because their releases on BIS are always highly enjoyable, and they are dependable for accurate renditions that are genuinely exciting. 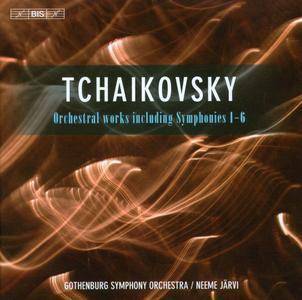 The six-CD set of Pyotr Il'yich Tchaikovsky's symphonies Nos. 1-6, the Serenade for strings, Romeo and Juliet, Capriccio Italien, Francesca da Rimini, and other less familiar orchestral works, is a bargain that shouldn't be missed, for the beginning classical fan has everything necessary to begin appreciating the Russian master, while connoisseurs will find unexpected surprises in the obscure selections. 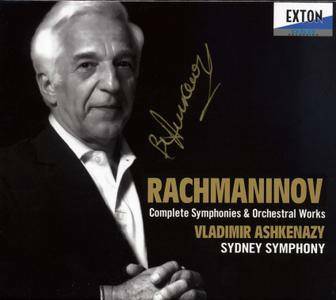 This series of live recordings was made at the 2007 Rachmaninov Festival in Sydney and features one of the foremost interpreters of Rachmaninov's music, the conductor and pianist Vladimir Ashkenazy. Since 2008 Ashkenazy has been Principal Conductor and Artistic Adviser of the orchestra which appeared in these performances, the Sydney Symphony. 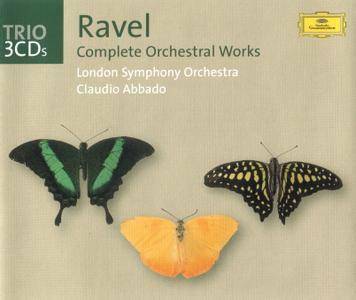 This CD set, which contains all of the composer's symphonies and orchestral works, also includes session recordings produced at the same time which have never been previously heard. Rachmaninov himself stated "In my own compositions, no conscious effort has been made to be original or Romantic or Nationalistic or anything else. I write down on paper the music that I hear within me as naturally as possible.